Well, the caption formatting didn’t work so well, but hows about that photo? 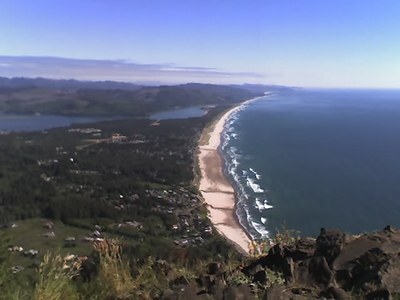 This is our friend Skye’s hometown on the Oregon coast. Not biking yet– the trip doesn’t begin until Sunday. For the record, I’m with the crew that’s NOT going all the way to Minnesota– just the first week up to Northern CA. Hoping to make it through Lassen Volcanic National Park. Never done a bike tour before. Wish me luck.